Go into any gym, anywhere in the world, and you will likely find that all repetitions appear very much the same. Sure, some people may lift or lower a weight a bit faster, slower, more loosely or strictly, but they all generally follow the same theme: Get the bar, dumbbell, cable, or machine from point A to B, then back to A (and repeat). However, because the human body is such an adaptable machine, we’ve got to occasionally throw something novel. into the mix for progression to remain constant. 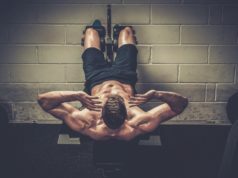 And while many are aware of set-extending techniques, such as supersets, dropsets, and rest pause, few trainees look for ways to intensify an actual rep. With that said, here are six great rep-intensifiers you might want to give a try. With this technique you will complete a ½ rep from the stretch to mid-point position in the range of motion (ROM), then will lower back to stretch and follow by completing the full ROM. Let’s take the bench press as an example. After un-racking the bar, you will slowly lower it to your chest. Then push the bar halfway up, lower again to your chest, and then push all the way to the top. That completes a single (bottom emphasis) one and a half rep, which is technically a half and full rep in this case. This is similar to the first technique, but emphasizes the contracted position rather than the stretch. Using the leg extension as an example, you begin by slowly pushing to the top position, where you will hold the squeeze for one second. You then lower under control but only halfway. Next, push again to full contraction and hold for a second before lowering to the starting position. That completes a single (top emphasis) one and a half rep. This painful rep-intensifying technique is a real killer and takes a high pain threshold to withstand. Here is how it would work on hack squats, for example. Begin by unlocking the safety handles and slowly descend halfway down. Once you reach the mid-point of the eccentric rep, you will hold a static contraction in that position for three full seconds. You will then complete the ROM by lowering to the bottom and pressing back to the top. Ouch! Similar to the technique above, this will definitely test both you physical and mental discipline, while flooding your muscles with lactic acid. On wide-grip lat pulldowns, for example, you will begin by pulling down just halfway and holding a tight contraction in your entire back for three full seconds. Next, you complete the range of motion by pulling to your chest and then slowly performing the negative back to the starting position. Ouch again! 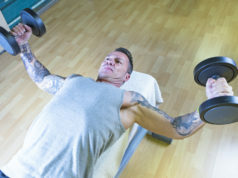 Holding a stretch under resistance is a very powerful anabolic trigger, making this a highly effective rep intensifying technique for igniting growth. My personal favorite exercise to use stretch-pause reps on is the dumbbell flye, so let’s use that movement as our example. 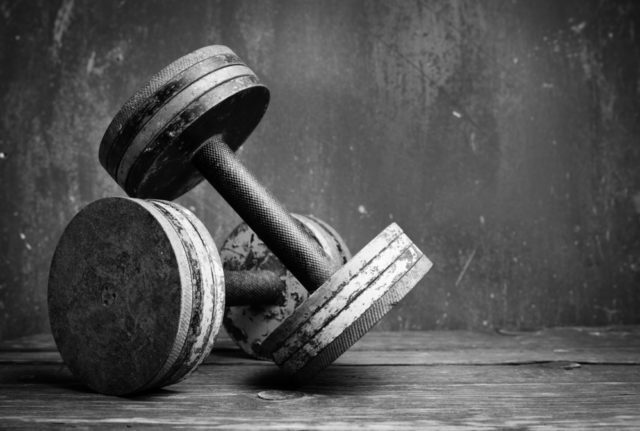 Begin with the dumbbells over your chest. Slowly lower until you reach the point that the pectorals are stretch fully, from sternum to armpit. Hold this deep stretch for 3-5 seconds, and then powerfully perform the concentric portion of the repetition. Keep reps in the range of 6-8 on each set. The 10-Minute Cycling Workout That’s Just As Effective As A 50-Minute Routine.